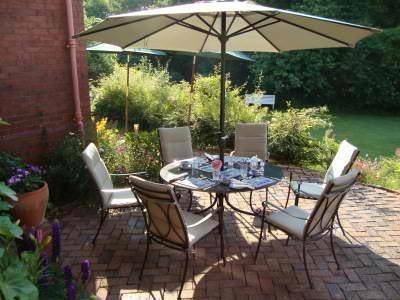 A paradise for walkers, birdwatchers and cyclists, and also close to The Three Counties Show Ground, Worcester, Cheltenham and Hereford with their cultural sites and shopping opportunities, The Noverings provides a perfect base to explore the region. Alternatively just immerse yourself in the tranquillity of our grounds. Within 20 minutes drive of the M50 it is readily accessible, yet amazingly tranquil. 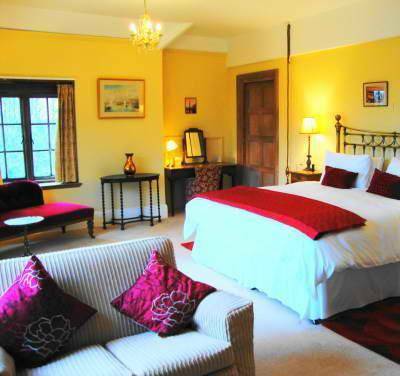 In the heart of the Herefordshire countryside, but within easy reach of Malvern, Ledbury, Worcester, Hereford and Eastnor, The Noverings offers luxury bed and breakfast accommodation in a truly stunning location. The Noverings, a Country House, built at the height of the Edwardian period, is the epitome of understated elegance. 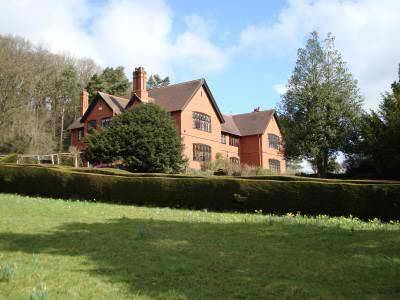 Set in over twenty acres of woodland, meadow and gardens it occupies an enviable position with pretty rural views including stunning vistas of the Malvern Hills to the east and Marcle Ridge to the south. The spacious 'en suite' bedrooms offer you the chance to live the life of a country gent (or lady), but with modern luxuries. You even get to use the servants’ bells! We are open between 1st April and 31st October every year. Visit us and the heady mix of elegant surroundings, set within the informality of our family home will surely make you return again and again.